The Vancouver Condo Buzz » Prestigious Vancouver BINNING TOWER Condos, Townhomes & Penthouses in the UBC Point Grey Vancouver Westside Real Estate District > 22 Stories of Luxury Binning Tower Vancouver Homes for Sale from Low $500’s! « PROJECT OF THE YEAR! New Burnaby MODELLO Metrotown Condo Tower Launching Previews! Luxuriously Appointed 1, 2 & 3 Bedroom Modello Burnaby Condos for Sale! 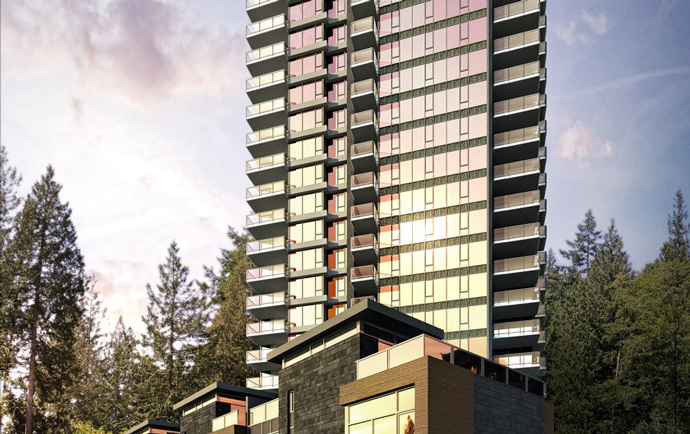 Situated in the exclusive Point Grey Vancouver Westside real estate market, the new BINNING TOWER on the Park is one of the most exciting, unique and promising projects this year! The special collection of Vancouver Binning Tower Westside residences includes one-level condominiums, spectacular penthouses and multi-level, family oriented townhomes. Situated within the beautiful University of British Columbia (UBC) community of Wesbrook Village, the Point Grey Vancouver Binning Tower condos are also nestled between two stunning urban green spaces/parks. 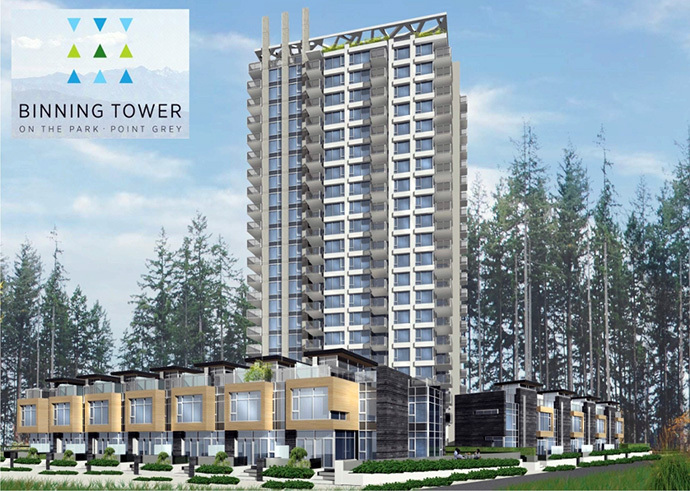 Offering a quiet enclave of luxurious homes, the Residences at BINNING TOWER Vancouver Point Grey real estate development will offer its residents supreme privacy, convenience as well as spectacular views! The developer for the Point Grey Binning Tower Vancouver Westside condos is award winning Wall Group of Companies, who have had a long string of very successful master-planned condo/townhouse projects in the Lower Mainland this year. In addition, the Point Grey Vancouver Binning Tower condo building will be designed to UBC’s very comprehensive Building Green Mandate (REAP – Residential Environmental Assessment Program), ensuring that residents and homebuyers will be living in a healthy, sustainable and eco-sensitive property). Maximum consideration has been given to energy/water efficiencies, waste management, high performance design and other ecological factors, resulting in housing and investments of the highest quality in the Westside Vancouver real estate market. In addition, the stunning architecture at the Westside Vancouver Binning Tower condos in Point Grey district will be designed by award winning IBI Group Architects. Pre-sale Vancouver Binning Tower pricing is expected to start from the low $500’s for 1 bedroom and flex floor plans and mid $600’s for two bedroom and flex layouts. There are also family sized 3 bedroom Binning Tower Point Grey residences that will most likely start in the high $800’s. Most if not all of the Binning Tower Penthouses will be 3 bedrooms + flex or larger and they will start in the $1.4-$1.5M range whilst the multi-level Binning Townhomes will likely start from the mid $1.1M range. The Binning Tower Townhouses will likely be the largest homes in the project. Please note that the finishes are subject to change at any time. If you are looking for the best finishes in a West Side Vancouver condo project, check out the Wall Binning Tower on the Park project! The interiors will present 2 elegant colour schemes for homebuyers to choose from for their selected home in addition to Forest Stewardship Council certified wood entry doors. In addition, all homes will be fully air conditioned for maximum year round comfort and there is durable porcelain floor tilework in the entry and second bathroom. All windows will have contemporary roller shades for privacy and there is wool blend broadloom EcoLogo carpets in the closets and FSC certified engineered wood floors in Wenge or Silva throughout the homes. As well, the Binning Tower Vancouver Point Grey condos and townhouses will feature Energy Star energy efficient windows and Energy Star water efficient appliances. EcoLogo environmentally friendly paints and finishes are presented throughout the homes too. The luxury Vancouver Binning Tower Penthouses will have 10 foot high over height ceilings. All other suites will have 8’5” ceiling heights. The luxury Point Grey condos at Binning Tower Vancouver Westside real estate development will also feature Bosch washer and dryer in addition to an Armony built-in three-bin recycling centre. The spacious baths at the Binning Vancouver condos include Armony bathroom vanity, made in Italy with integral handles in addition to polished marble or travertine vanity counters depending on the colour/finishing palette that you choose. In addition, there are frameless glass master shower enclosures and deco-beveled glossy white ceramic wall tiling in the main bath. The luxury Vancouver Binning Point Grey condos will also feature polished glass tile in the ensuite shower and surround and polished marble tile for the ensuite floor and baseboard. The bathrooms will also have sleek Duravit Starck 3 low-flow, dual-flush wall mount low profile toilet and Euphoria low-flow stainless steel rain shower by Grohe. Other bath features include wide set modern stainless steel bathroom faucets and tub spouts by Grohe in addition to a modern Duravit undermount porcelain vanity basin and beautifully streamlined Duravit drop in bathtub. The gourmet kitchens will also feature the high-end Armony Cucine kitchens that are made in Italy. There’s also modern and chic quartz composite stone counters and island tops as well as a stainless steel double bowl kitchen sink by Julien and convenient LED and Xenon under cabinetry strip lights. The kitchens also have a Grohe stainless steel kitchen faucet. The appliance set is also spectacular and includes: 24” Liebherr fully integrated fridge with bottom freezer, 30” Thermador Masterpiece 5-burner gas cooktop. 30” Thermador Masterpiece stainless steel oven, 24” Thermador fully integrated dishwasher and a 24” Panasonic stainless steel microwave. There’s also a high-end and powerful Falmec hood fan and shelf unit. Because of the larger space, the spectacular Binning Tower Townhomes & Penthouse Residences will feature even larger appliances for the kitchen that includes: 36” Gaggenau fully integrated fridge/bottom freezer and 36” Gaggenau 5 burner gas cooktop. In addition, the Point Grey Vancouver Binning Townhomes and Penthouses will also have 24” Gaggenau fully integrated dishwasher, 30” Gaggenau stainless steel double wall oven and 24” Gaggenau stainless steel wine cooler with 2 climate zones. Please note that the Point Grey Binning Tower on the Park UBC floor plans are subject to change at any time. The project site location will be within easy walking distance to Wesbrook Village UBC where you will find amenities, services and shopping. In addition, residents of Wesbrook UBC Binning Tower Vancouver condos may apply to join the UNA with a CSC (Community Services Card). If you do, you will have fere access to the UBC Botanical Garden, Museum of Anthropology, Vancouver Public Library, the UBC Library and the Nitobe Memorial Garden. In addition, residents at the Point Grey Vancouver Binning Tower condos who get the CSC will also get preferred rates at the UBC Athletic and Recreational Facilities and other venues too! All homes at the Binning Tower Vancouver Westside condos will get the National Home Warranty. More information about Binning Tower on the Park in Point Grey Vancouver is online at www.binningtower.com. If you are looking for the most prestigious address, this is the project for you! Wall Financial Binning Tower on the Park is a brand new Westside Vancouver Point Grey condo tower along Binning Road. 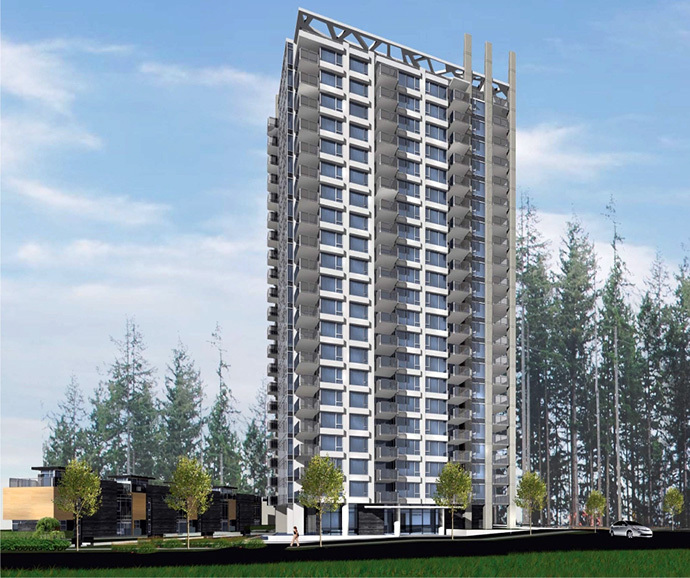 The presale Vancouver Binning Tower condos are expected to start from $529,900 and the project site is located at 3355 Binning Road Vancouver. The project will have a total of 217 homes for sale with an eventual estimated completion in mid to late 2016. The Binning Tower Vancouver Point Grey condos are brought to you by Wall Financial, an established and trusted local builder. The high-rise will be 22 storeys in height. The project amenities will include a party room, clubhouse space, meeting room, fitness gym, bike service room and a garden. On the park in Point Grey – Fresh air open spaces – true luxury at home. Introducing Binning Tower on the Park, a collection of prestigious, contemporary and brand new condominium residences by the Wall Group of Companies, promising a Westside Vancouver lifestyle that is defined by education, arts, culture and recreation. Located adjacent to Wesbrook Village UBC, this Vancouver Binning Tower condo address provides every convenience including easy access to downtown Vancouver and to YVR Airport. Binning Tower Vancouver luxury Westside condos features only 206 elegant presale condominium residences and 11 deluxe Vancouver Binning Tower townhomes, all offering access to open spaces, beautiful green spaces/parks and breathtaking panoramic views of protected forests and fresh open breezes. Early VIP access will be coming soon with an anticipated presale launch in late October 2013. The luxury West Side Vancouver Binning Tower condo residences will start from the low $500’s! A new collection of contemporary condominium residences by Wall Group of Companies promising a lifestyle defined by education, arts, culture and recreation. This prestigious West Side Vancouver address provides every convenience of Wesbrook Village and Vancouver, surrounded by open spaces, beautiful parks, and breathtaking panoramic views of protected forests and fresh ocean breezes. The West Side Vancouver Binning Tower residences start from the low $500,000!